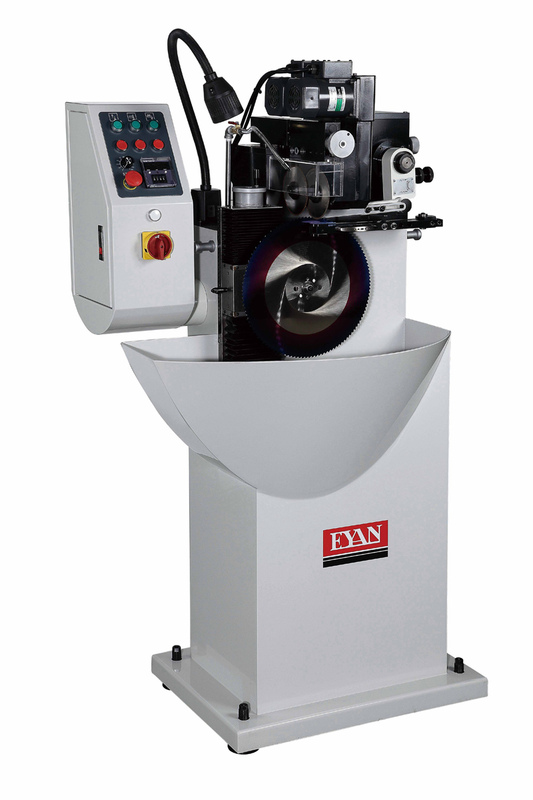 Automatic and vertical-type chamfering machine, Using Step-less speed variation, the grinding speed can be 30-100 teeth per minute. Meticulous design after years ' relentless hard working . One professional class chamfering m/c . Patented CBN grinding wheels each on left and right ,synchronized chamfer. Humanize vertical sawblade grinding way, you can operate the machine easily . CBN grinding wheels each om left and right, synchchronized chamfer. Quick chamfering which can cooperate to 5-6 sels of saw blade sharpening machine. 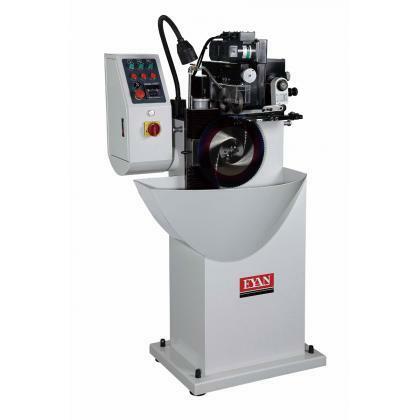 This is the best machine for grinding company to save labor and reduce the cost. Use frequency converter to control the speed of grinding. Therefore, grinding speed can be adjusted with the change of teeth pitch.